The needs ever growing of different community and people around the world, the specific requirements of humanitarian and emergency operations, those caused by natural disasters such earthquake, flood or exceptional events, such as a war, they often required from us the manufacturing And installation of clinics, medical practices for first aid and prefabricated schools for nursery, primary, middle schools, etc. 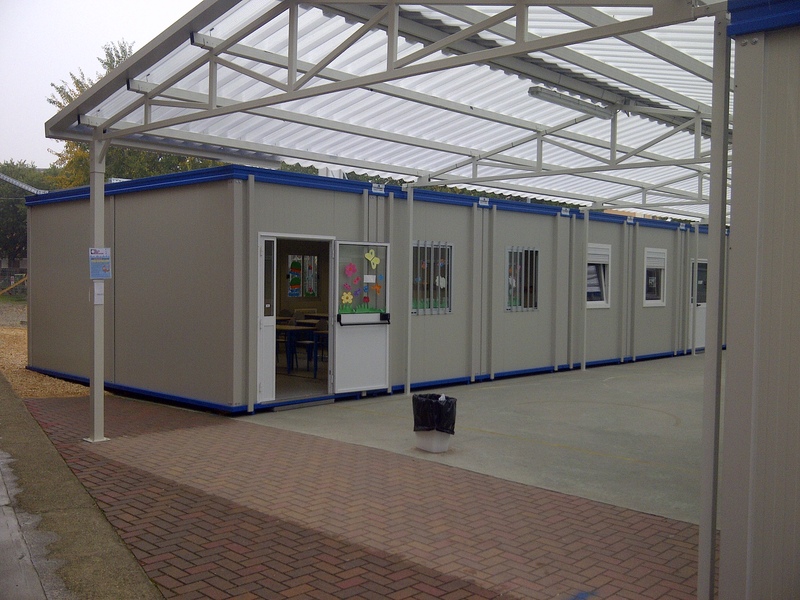 The prefabricated schools realized by us in Italy and overseas are related also to some expansion projects of existing buildings having allowed the normal course of business school using materials comply to the quality and security standards, sanitation, required by the different regulations in force ; all of this , is realised saving money, quick manufacturing process and fast installation against the classic manufacturing method. Special materials, special panels comply with security and regulation standards.